Some of the cars that get sold each year are duds, damaged by weather events or falling apart for a specific reason. The term for a vehicle that is a dud is "lemon." Some people have experienced purchasing a lemon before, and others have heard about their existence by seeing the warnings on Internet car sale websites. While many people know that car insurance is extremely important, fewer people know as much about car warranties. Car insurance policies are mandatory, with minimum limits, in most states. Car warranties, however, are not mandatory. They are optional, and cover costs related to factory defects. Car warranties can often be extended past the expiration of the manufacturer's warranty, and plan holders sometimes have to pay either a co-pay or percentage of each repair cost. Car insurance comes in multiple types, liability insurance, comprehensive insurance, and collision coverage. Additionally, personal injury protection (PIP) and uninsured motorist protection are included among these and are available in many states. Liability insurance can help pay for the medical costs, and sometimes property damage of other people and their property if you are found at-fault in an auto accident. Most states have liability insurance requirements for driving legally in their state. Collision and comprehensive coverage help pay for the expenses of damage to your vehicle if you are found at fault in an accident. These insurances can include damage from collision, fire, theft, and many other perils. Uninsured motorist protection helps protect you by covering costs to your vehicle if the person who is at fault is both not you and does not have insurance. Personal injury protection, also called no-fault insurance, helps cover your medical expenses if you are involved in an accident. For an insurance provider to make a payout for any covered situation, someone needs to make a claim. When you file a claim with your insurance provider, they will investigate the claim and pay for the damages if everything pans out. If you are in an automobile accident that you are looking to make a claim for, calling the police at the time of the crash has a lot of benefits. Most of the time, when you purchase a new vehicle, it comes with a manufacturer's warranty. This warranty is often designed to cover parts of the car if they are malfunctioning. In addition to the manufacturer's warranty, third-party warranties are also available on both new and used vehicles. Car warranties have pros and cons, like anything else. A Car Warranty: How Is It Different? One of the benefits of a car warranty is that it helps provide peace of mind that unexpected costs are not going to have a drastic effect on your finances. 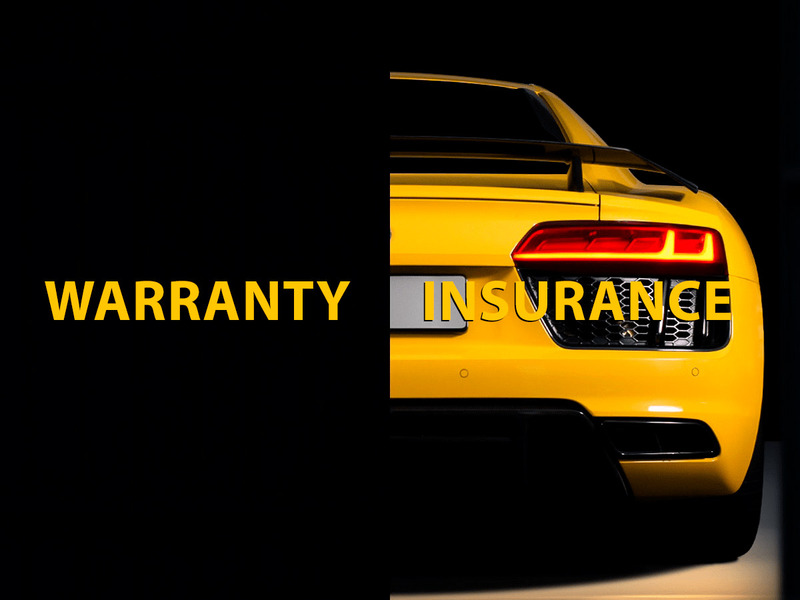 The protection that a car warranty offers is different than that of car insurance, focusing on malfunctions of vehicle parts rather than damage related to weather, accidents, and other things. Another positive of purchasing a car warranty is the level of customization that warranty holders can get. There are large numbers of warranties available, and many companies will work with people who are looking for policies to find a deal that works best for them. Unfortunately, car warranties do not cover every situation that can happen. Many of them have limitations on the types of repairs that the warranty covers. Others have limitations to the amount of money the warranty will payout in specific situations. It is essential to look at your car warranty in detail, as you may lose coverage if proper maintenance is not happening. According to consumer reports, most people spend more money on car warranties than they save. Due to this, if you're looking into a car warranty, you will want to shop around. Also, keep in mind that many car warranties are not transferable if the owner of the car changes. If you have plans to sell your vehicle, only look at car warranty plans that are equal to or less than the amount of time you are planning on owning the car. There is no reason to pay for car warranty that lasts longer than the amount of time you will own the vehicle. To get the most out of a car warranty, you will want to do the proper research. Car warranties should not be an impulsive purchase. Take the time to research and shop around for the best available warranty at the best prices. Another great tip is to research your car brand, make, and the model. If any of these generally need more frequent repairs, a car warranty can make a lot more sense. For owners of reliable vehicles, the usage rate of a car warranty decreases heavily. Also, take note of the limitations of the warranty you are looking to purchase. If you are anticipating the warranty covering certain things, you do not want to find out that they are not covered after the fact. Purchasing a car warranty can help provide peace of mind, though there are alternative options. Some people choose to put the amount that they would spend on their car warranty into a bank account to use for repairs on their vehicle when the need comes about. This is a great option that works for many people, but others are not consistent enough to put that money into savings and not touch it. When something on a vehicle malfunction occurs, it can be quite costly to repair it. Car warranties make sure that these expenses are covered. Most car expenses are unexpected, and it is these unexpected repairs can have a massive impact on people's finances. Keep in mind that you will need to schedule regular maintenance on your vehicle in order for most car warranties to stay valid. More research should also be done to make sure that any third-party warranties are not scams. Some criminals do try and scam others by offering car warranties at great prices and then disappearing. It is safe to stick with reputable companies, including car company warranties and extended warranties from the manufacturer. Be proactive in reaching out to reputable companies. American Insurance is a highly reliable company providing quality insurance and fantastic customer service. NAIC Number For Car Insurance Company – How To Find It? Get 10 auto insurance quotes within a matter of minutes. It’s that easy! Insurance providers compete for YOUR business and provide you with their best quotes. Find the perfect match. Save today and every year going forward!